I’ve mentioned before that Chris Van Allsburg is one of my favorite children’s authors of all time. 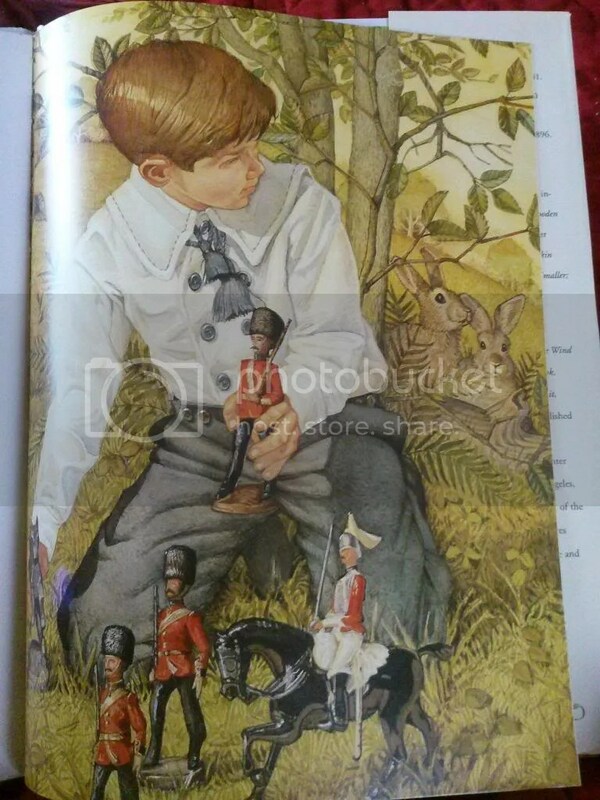 Today I am sharing another one of his fabulous books, Jumanji. First written in 1981, it went on to become a movie starring Robin Williams in 1995. The Jumanji movie is a great resource to use with the book, possibly as a culminating activity to a unit study. The book tells the story of Judy and Peter, a brother and sister looking to have some fun when their parents leave them alone for the day. 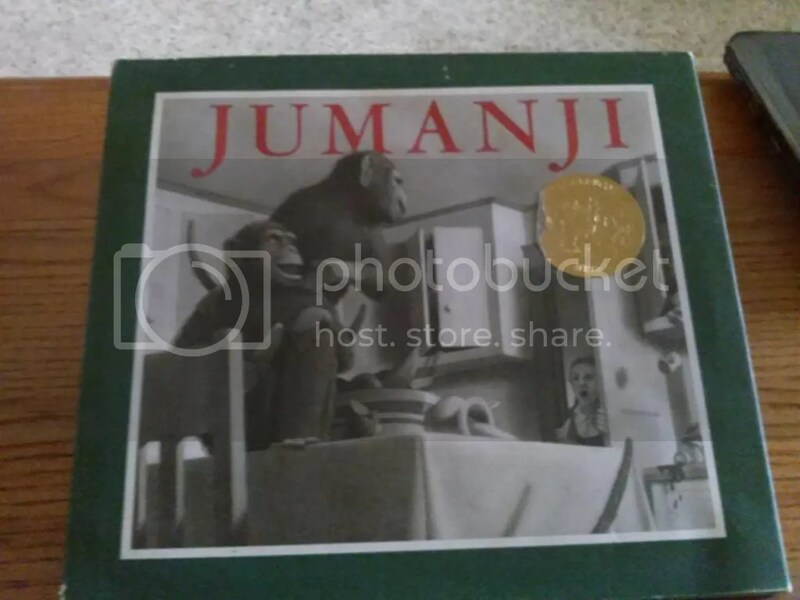 When playing outside, they find a mysterious box containing the Jumanji Jungle Adventure Game. What follows is an exciting adventure where each role of the dice brings them face to face with lions, monkeys, monsoons, and bumbling guides. By the end of their day, an exhausted Judy and Peter bury the game in the park, which sets up another Van Allsburg book, Zathura. Jumanji is loaded with things to study and talk about. 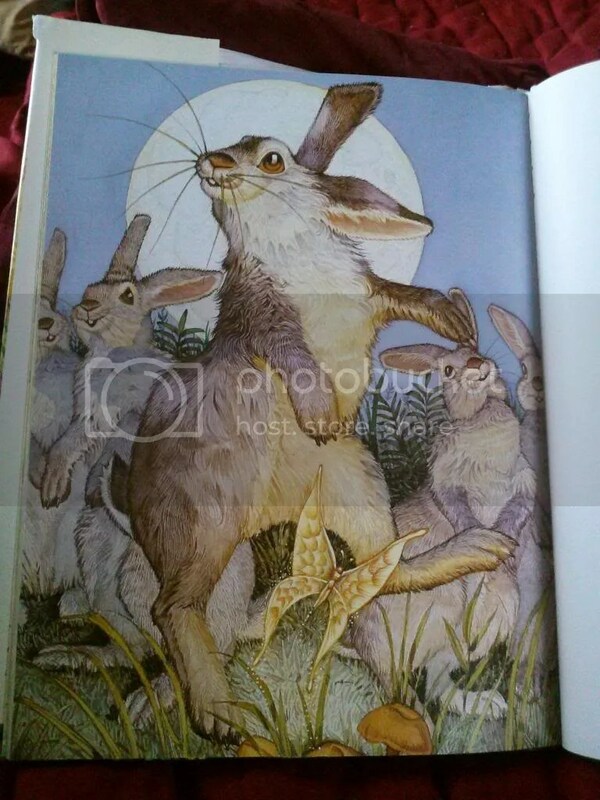 First, if you have a child that loves animals, you could certainly spend time researching each animal in the book as a unit study. I’ve read this with my kids and had them create their own version of the game, which they really enjoyed. In addition, there are a lot of resources and lesson plans available online. 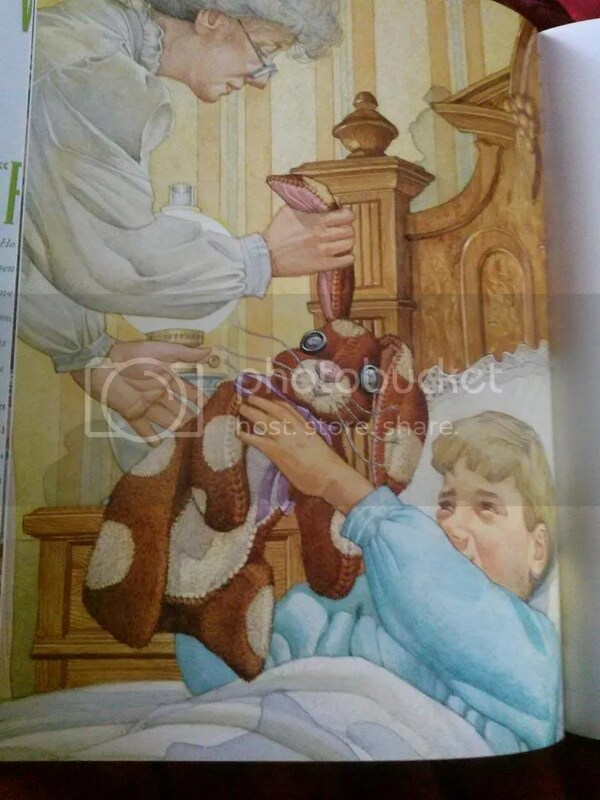 First, the Chris Van Allsburg website gives you information about the author, as well as links to other resources. Houghton Mifflin has put together a teachers guide with writing and reading lessons for the primary grades. At Carol Hurst.com, read a review of the book and view some questions for discussion as well as suggested activities. Teaching Books provides links to interviews with the author as well as other resources. At Better Lesson, find a lesson plan focused on using the book to teach figurative language. Jumanji is so much fun to read! I love how it encourages a kids imagination. Thanks for joining me for Booklovers Anonymous this week! Be sure to come back next Thursday! 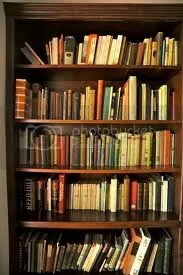 Welcome back to Booklovers Anonymous! 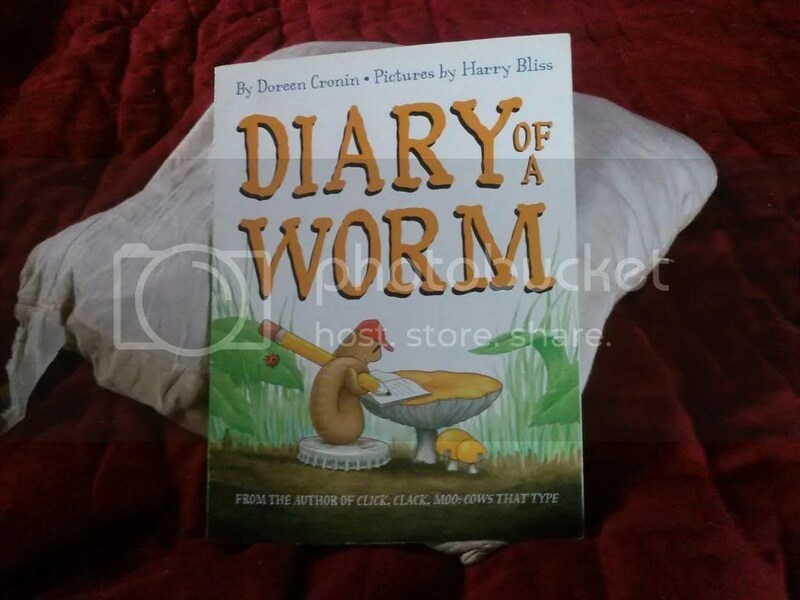 This week I am sharing a really fun story by author Doreen Cronin, Diary of a Worm. This little gem of a book covers a few months in a young worms life, told from his perspective. It is part diary, part scrapbook, with pasted “pictures” of images like a “family vacation” at Compost Island, a Superworm comic, and the worm’s favorite pile of dirt. In the story, the worm shares important details of his life, like how his mother told him that the earth gives him everything he needs, how he learned not to bother his father when he is eating the newspaper, how fruitless it is to try to teach his friend spider to dig, and the dangers of hopscotch. My kids loved to listen to how worm tried to annoy his big sister and how he made spider laugh so hard that he fell out of a tree. 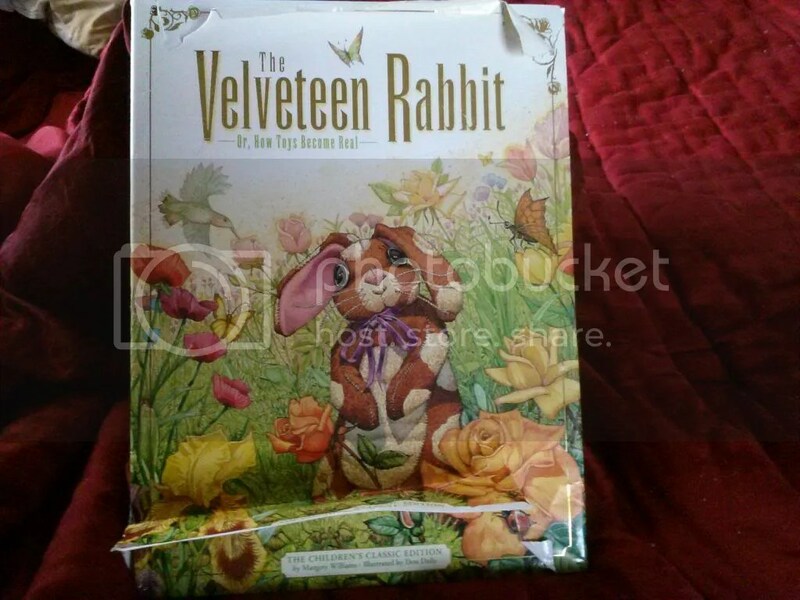 Aside from the fun, there are a lot of resources available for using this book for lessons. PB works has a lesson plan for teaching about worms. At Writing Fix, students can practice using voice in their own writing. Teachers Net has a fun lesson for tying the story into creating a worm’s habitat, and Scholastic has ideas for using the book as a springboard for having students research an animal and create their own diary based on that animal’s life. Check out this Pinterest board for Diary of a Worm unit study ideas on composting, recipes, crafts, and other activities. Diary of a Worm is just so much fun, and could easily be used for a science unit study! Thanks for stopping by this week, be sure to come back next Thursday! 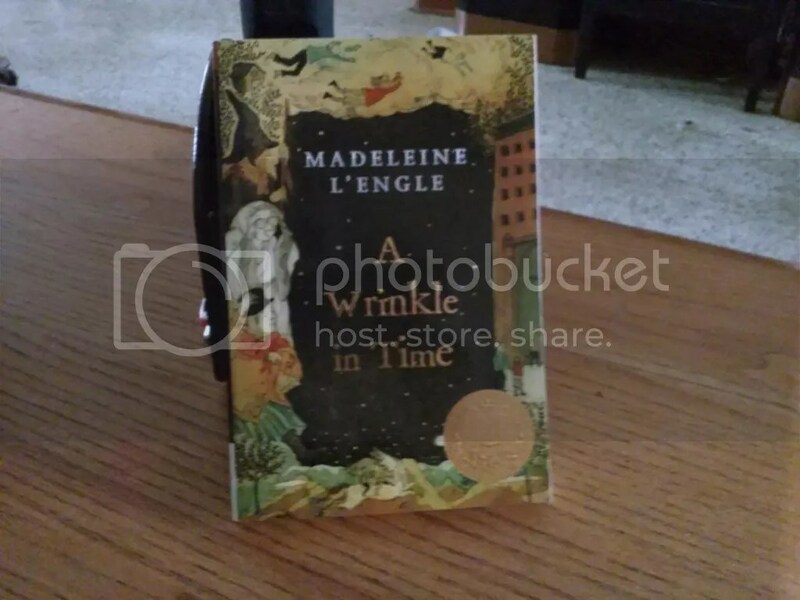 The first time I read A Wrinkle in Time by Madeline L’Engle, I was in fifth grade. This is one of the first books I can remember wanting to read over and over. I was so excited by the adventures of Meg, Calvin, and Charles Wallace. And the thought of traveling through time, and tesseracts, and the incredible worlds they visited….they were the stuff a dreams. The Christian themes in the book are quite obvious, and easily lend themselves to discussion. However, it is the relationships between the characters that stand out to me the most. The fact that Meg rescues her little brother because her love for him is the one thing IT can’t overcome, sends a very powerful message. Both of my boys read this book as part of their literature class in about the sixth grade, although I also used it as a read aloud when they were younger. A Wrinkle in Time is actually the first book in a series that can set your kids off on a wonderful adventure. First written in 1962, it is still enormously popular today. When my kids read this book, we do numerous activities, like sketching their favorite scenes, drawing or making models of each planet, creating a comic based on the book, and making their own “map” of the different universes the children visit. Glencoe also has a study guide with questions and graphic organizers available. Scholastic has put together a nice little study guide with background about the book and the author, as well as questions for each chapter. Shmoop has some general questions and quizzes. The Edsitement website has great directions for creating a board game based on the book. A Wrinkle in Time lends itself to creativity, so with an artistic child the possibilities are endless. Of course, you can also tie some of the topics into science (just look up tesseracts to get started). There is also quite a bit of math in the story, and literature references as well. This book will work for any child in 5th grade and above who loves excitement and adventure. Check it out and enjoy! I appreciate you stopping by to visit. Be sure to come back next Thursday! Did you ever read A Wrinkle in Time as a kid? Let me know in the comments! So begins Invitation, one of my favorite poems by one of my all-time favorite poets, Shel Silverstein. Where the Sidewalk Ends is one of his collections of poetry that I have been reading out loud, in my home and in my classroom, for years. My kids and I love the silly rhymes “Fred?” and “The Yipiyuk” and the more serious tones of “Invitation” and “Where the Sidewalk Ends”. I usually start our day with reading a random poem just for fun. In the past, my kids have drawn illustrations to go with Shel Silverstein’s poems and his work has inspired them to write their own. What I think I love most about his work is how clearly he illustrates pictures in your head. Since I was a little girl, when my Nana read me The Giving Tree, his work has just rolled off the page and into my head. A great intro to poetry for big and little children, Where the Sidewalk Ends has examples of many poetry forms. In addition to reading, my kids have also used poems from this book for memory work and copy work. For more fun lessons and activities, check out the Shel Silverstein website. Here you will find animations to go with his poems, lessons and activities with printables, and drawing pages. 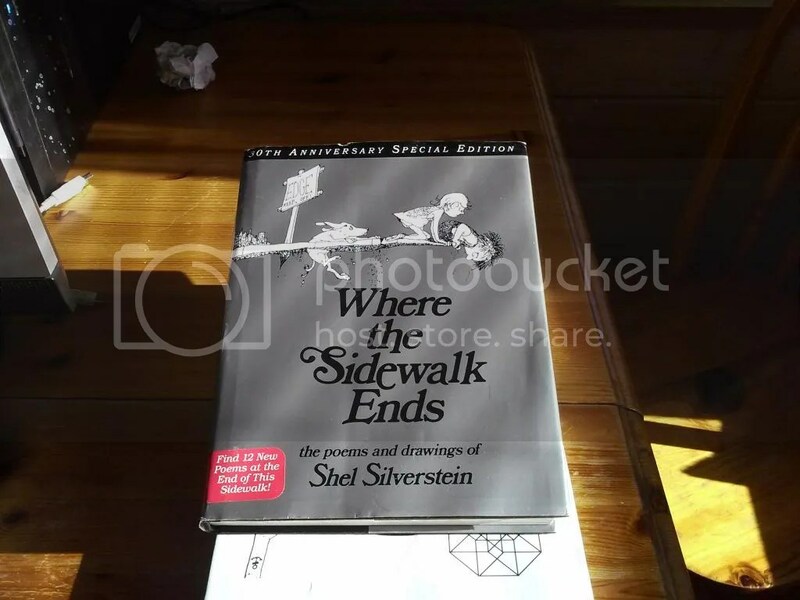 Readworks has a lesson plan for Where the Sidewalk Ends that teaches about author’s voice. At Fun with Poetry, find multiple teacher resources and an audio recording of The Unicorn Song (one of the first poems my kids ever memorized). “Yes, we’ll walk with a walk that is measured and slow. If you have a favorite Shel Silverstein poem, let me know in the comments. Thanks for stopping by this week, be sure to come back next Thursday for more books! For this week’s Booklovers Anonymous I share one of my favorite books from my middle school years. 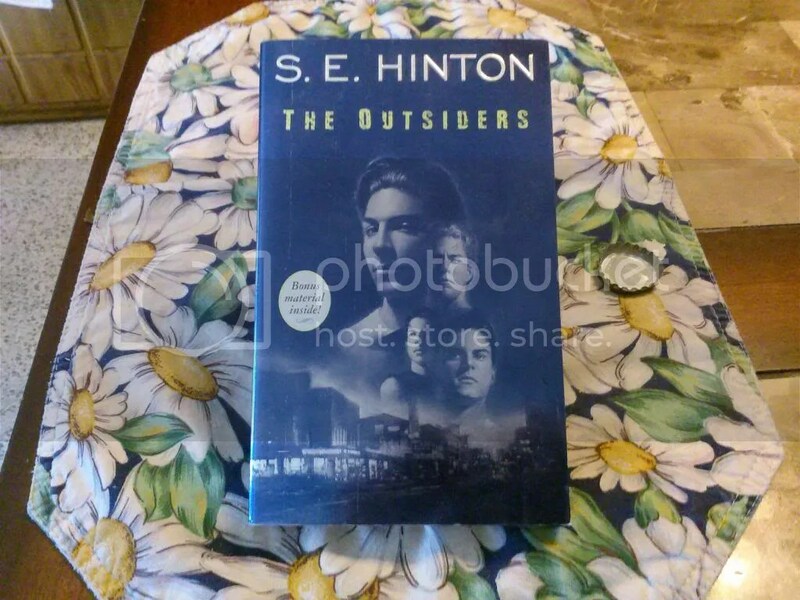 The Outsiders by S.E. Hinton is a coming of age story set in the 1960s. The themes of love, friendship, and fitting in are things all teens can relate to. The story of Dallas, Pony Boy, Johnny, and Sodapop grabs the readers attention and draws them in. I have my boys read this book when they are in the 8th grade. At that point, they are ready to tackle the subtle and obvious plot points and themes. This book provides all kinds of discussion about topics like social class, boundaries, making right choices, and how, sometimes, the least likely person can be the hero. Published in 1967, the story of the Socs and the Greasers has been around a long time and there are plenty of resources available for using it in your homeschool. This PDF has some great activities like making character posters and possible discussion or essay ideas. I love the printables and discussion questions found in these lesson plans. Incorporate the study of music with the story with these ideas from Rockhall. Pearltrees has numerous resources for The Oustiders including charts, study guides, and web-related activities. Of course, The Outsiders movie is now considered a classic (which makes me feel really old) and I am happy to say it sticks really close to the book. Appropriate for grades 7 and up, watch the movie as a wrap up activity when you finish the book. While this is a favorite for boys ages 13 and older, plenty of girls (like me) enjoy this story. I also think the broader topics of fitting in and acceptance are especially important ones to talk about with teens today. In the end, the Outsiders was really all about love and acceptance. If you want an exciting story to read with your middle or high school student, definitely give The Outsiders a try! 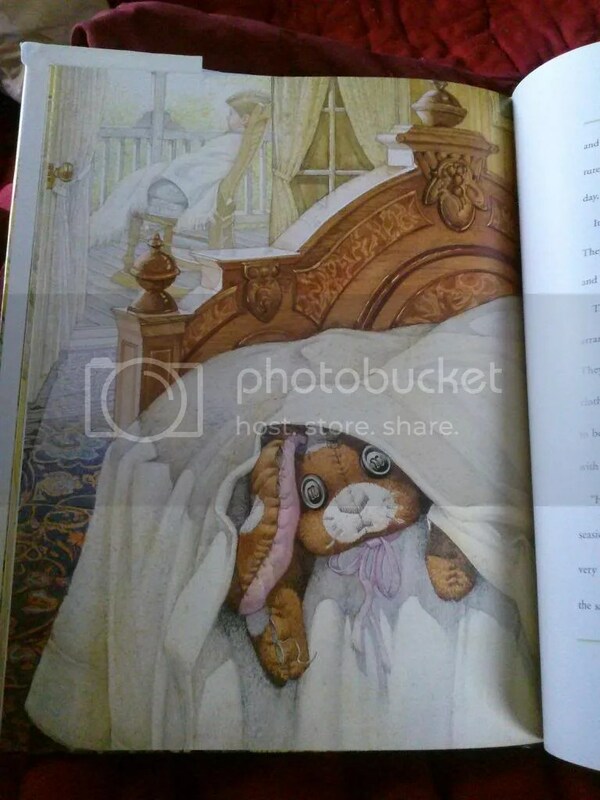 Do you have any books from your childhood that made an impression on you? Let me know in the comments. Thanks for joining me and be sure to come back next week! 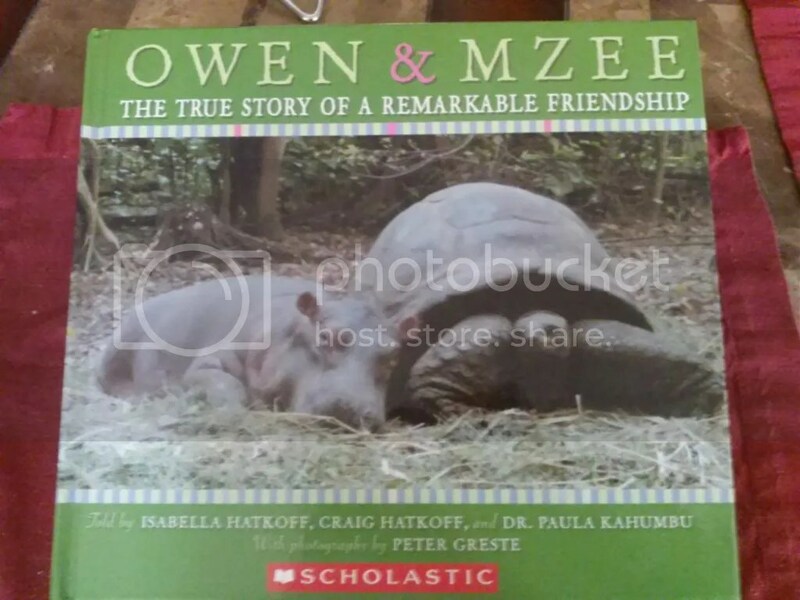 For Booklovers Anonymous this week I am sharing a story of two unlikely friends: a hippo and a giant tortoise, Owen and Mzee. Written by Isabella Hatkoff, Craig Hatkoff, and Dr. Paula Khaumbu, this is a beautiful story of friendship and survival. This true story takes place in Kenya, when a baby hippo, orphaned and stranded by a tsunami in 2004 washes up onshore. Local villagers come together to perform a daring rescue. Hippos are known to be very dangerous animals, but they could not sit and watch the baby die. After a lot of effort, the hippo is rescued and sent to Haller Park, an animal sanctuary. At the park, Owen (as the hippo comes to be called) meets, Mzee, a 130 year old giant tortoise. Up to this time, Mzee was not a very friendly creature, and kept to himself. Upon reaching the park, a very frightened Owen immediately snuggled up to Mzee. At first, the tortoise was not very happy about this, but over time, things changed. Owen and Mzee became friends, and Owen began his recovery. This story itself opens up so much discussion. It is also full of learning opportunities. For starters you could study Africa, Kenya, tsunamis, hippos, and tortoises. A documentary about Owen and Mzee is available on the book’s website. The Owen and Mzee website also has videos, sing-alongs, links for parents and teachers, and a tour of Haller Park. Also, a free special ebook of the story was created for the Tribeca Film Festival in 2005. 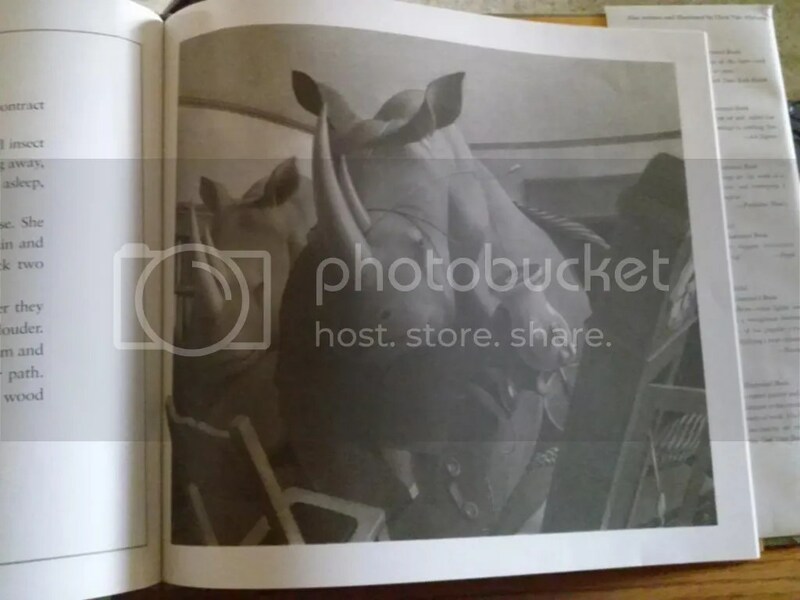 It contains more pictures, a coloring page, and updated information on the two animals. The pictures in this book are gorgeous, and the story itself will bring tears to your eyes. Read it just for fun or use it for science or social studies. Thanks for joining me for Booklovers Anonymous this week. Be sure to come back next Thursday. If you know of any other great animal stories, let me know in the comments!